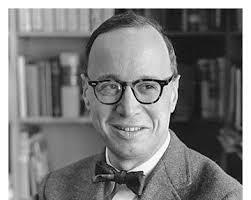 Arthur Schlesinger, Jr., was what we would today likely describe as a “public intellectual,” a top-notch historian who was also deeply engaged in political issues throughout his adult life. 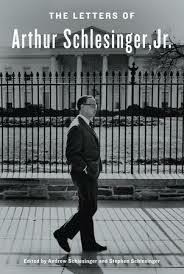 Schlesinger’s father, Arthur Schlesinger, Sr., was himself a top-notch historian. Both father and son taught at Harvard, with the younger Schlesinger finishing his academic career at the City University of New York. Born in 1917, the younger Schlesinger was the author of a highly respected book on Andrew Jackson (“The Age of Jackson”) and a three volume series on Franklin Roosevelt (“The Age of Roosevelt”). He also wrote an influential 1949 political tract, The Vital Center, an argument for liberal democracy, based on civil liberties, the rule of law, and regulated capitalism, as the only realistic alternative to fascism on the right and communism on the left. Schlesinger was one of the founders of Americans for Democratic Action, ADA which, more than any other single organization, epitomized mainstream post-World War II liberalism. He was also a loyal, always passionate, and often-elegant spokesman for the liberal wing of the Democratic Party. Schlesinger served as an advisor to President John Kennedy, whom he revered. After Kennedy’s assassination in November 1963, Schlesinger wrote an account of the short Kennedy administration, A Thousand Days: John F. Kennedy in the White House, which won the 1966 Pulitzer Prize for Biography. Schlesinger stayed on briefly as an advisor to President Lyndon Johnson after Kennedy’s death but came to detest Johnson and his decision to escalate the Vietnam War. He returned to academia at City University of New York after his stint with the Johnson administration, where he remained until his retirement in 1994. He died in 2007 at the age of 89. Over the course of a long lifetime, Schlesinger wrote letters – lots of letters. Both the quality and the quantity of Schlesinger’s letter writing habits are on full display in this nearly 600-page collection, The Letters of Arthur Schlesinger, Jr., edited by Schlesinger’s sons Andrew and Stephen. The sons have culled together selected letters to and from their father and arranged them in chronological order, adding editorial comments by way of footnotes. They estimate that they reviewed approximately 35,000 letters before making their choice of those contained here. Spaced over 71 years of Schlesinger’s adult life, from age 18 to his death at age 89, 35,000 letters amounts to an astounding average of almost 1½ letters per day during Schlesinger’s adult years. Schlesinger corresponded regularly with presidents and presidential candidates, Congressional leaders, Supreme Court justices, cabinet officials, writers, journalists, religious leaders, intellectuals and scholars. He also answered questions from members of the public, including school students. Formal letter writing is today largely an extinct practice, replaced by email exchanges that occasionally resemble letters of old, although more often are less formal and far more cursory. Throughout most of Schlesinger’s life, however, letters were a frequent and frequently consequential mode of communication. Schlesinger, the editors observe in their introduction, “may indeed be one of the last of the old-fashioned breed of American figures for whom letters were the paramount means of communication – a phenomena that seems oddly arcane in a digital age” (p.xii). The “abiding theme” of the letters contained here, the editors indicate, was Schlesinger’s preoccupation with political liberalism and its prospects. “He was always in some way promoting and advancing the liberal agenda; it was his mission, purpose, and justification.” (p.xi), they write. Through their selection of letters, the editors seek to show their father’s “intellectual and political development as one of the nation’s leading liberal voices” (p.xiii). The collection they have assembled easily meets this objective. It allows the reader to piece together the constituent elements of what might be termed classical, post-World War II mainstream American liberalism. Schlesinger’s brand of liberalism was staunchly anti-communist in post World War II America, yet supported civil liberties even for communists and therefore vigorously opposed the “mad, brutal and unrestrained fanaticism” (p.76) of Senator Joseph McCarthy’s anti-communist campaigns. Schlesinger’s liberalism supported civil rights in the United States, a strong stand against the Soviet Union — a “monstrous police despotism” (p.27) — across the globe, and independence for colonized countries in Asia, Africa and the Middle East. Above all, Schlesinger’s liberalism was predicated upon what he termed “affirmative government,” the use of federal authority to regulate capitalism, assist the men and women working within the capitalist economy, and advance the national interest. As McCarthy’s intemperate brand of anti-communism gradually faded in the late 1950s, Schlesinger’s anti-communist fervor also subsided. By the end of the 1960s, the plight of newly independent states no longer seemed to be a preoccupation, and Schlesinger had by then recognized that communism bore many faces in addition to that of the Soviet Union. By contrast, support for affirmative government, civil rights and civil liberties remained at the core of Schlesinger’s credo until his death in 2007. In numerous letters, Schlesinger warned against the Democratic Party becoming too pro-business. We already have one pro-business party in the United States, Schlesinger argued with correspondents, we don’t need another. In a 1957 letter to then Senate Majority Leader Lyndon Johnson, whose support Schlesinger recognized as essential to driving a liberal legislative agenda through Congress, Schlesinger sought to dissuade Johnson from prioritizing budget cutting. Schlesinger described the “great tradition of the Democratic party” as the “tradition of affirmative government – the tradition of Jackson, Bryan, Wilson and FDR – not the tradition which hates the national government, but the one which regards it as an indispensable means of promoting the national welfare. If Democrats reject this tradition, they reject any chance of national political success. And a frenzy for budget cutting as an end in itself amounts certainly to a rejection of this tradition” (p.144). Schlesinger remained an advocate for affirmative government throughout his adult life. After Jimmy Carter lost his bid for re-election to Ronald Reagan in 1980, Schlesinger criticized Carter for his “systematic attack on the great creative contribution of the modern Democratic party – the idea of affirmative government,” an attack which he considered “demagoguery” and pandering to the “most vulgar American prejudices” (p.470). He advised 1984 Democratic presidential nominee Walter Mondale to avoid deficit spending as a political issue: “The Republicans have used the deficit as an issue for fifty years . . . The only people who worry about the deficit are businessmen most of whom have always voted Republican and will doubtless do so again” (p.485). After Republicans gained control of the House of Representatives in November 1994, Schlesinger sent a long, and apparently unsolicited, set of suggestions to President Bill Clinton on themes for his forthcoming January 1995 State of Union address. Arguing that the Clinton administration “cannot succeed by trying to out-Republican the Republicans” (p.549), Schlesinger urged Clinton to reject the view that the election was a “repudiation of activist government” (p.548) and to “outgrow the illusion” that “power taken away from government falls to the people; much of it goes rather to corporations not accountable (as government is) to the people.” The United States cannot solve its problems by “turning them over the marketplace and thinking they will solve themselves” (p.550), Schlesinger contended. Don’t say that problems are intricate and complicated. Everyone knows that they are. . . Don’t profess ignorance on questions, or say that you don’t know enough to give a definite answer. If you are running for the Presidency, people expect not necessarily a detailed technical answer, but a clear and definite expression of the way you would propose to tackle the problem. Don’t hesitate to give a short answer. . . Do not think that all this is in any sense a counsel of dishonesty. Politics, as its best, is an educational process” (p.134-45, italics in original). After Stevenson went on to suffer his second lopsided loss to Eisenhower in the 1956 elections, Schlesinger turned his attention to Senator Kennedy. When he first met Kennedy at a dinner party in 1946, Schlesinger described the young man from Massachusetts (born in 1917, the same year as Schlesinger) as “very sincere and not unintelligent, but kind of on the conservative side” (p.17). In supporting Kennedy’s run for the presidency in 1960, Schlesinger sought to coax the Senator to move toward more liberal positions. Perceiving lethargy in the campaign after Kennedy received the Democratic Party nomination in August 1960, for example, Schlesinger urged Kennedy to “exploit one of your strongest assets – i.e., that you are far more liberal than Nixon. There is no point, it seems to me, in playing this down and hope to catch some votes in Virginia at the price of losing New York . . . I think you should take a strong liberal line from now on” (p.215). Schlesinger was among the many “brightest and the best” whom Kennedy assembled to be part of his administration, and Schlesinger frequently remarked that his opportunity to serve in the Kennedy administration was the high point of his career. However, there are not many letters here from Schlesinger’s time at the White House, perhaps because he did not feel free to comment to outsiders on administration business, perhaps because he did not have the time in that position to write letters with the frequency he had had as an academic. Schlesinger stayed with the Johnson administration only through January 1964, and quickly became a caustic critic of Johnson’s decision to escalate the war in Vietnam. Schlesinger refused to endorse Vice-President Hubert Humphrey, his long-time friend and former ADA ally, for the Democratic Party nomination in 1968 (Schlesinger was a strong supporter of Robert Kennedy for the nomination until his assassination in June 1968, after which he supported George McGovern). In July 1968, Schlesinger responded to ADA lawyer David Ginsburg’s statement that Humphrey’s approach to Vietnam and that of the Republican candidate, former Vice-President Richard Nixon, would not be “too far apart.” If this is so, Schlesinger replied, “then give me Nixon – on the simple ground that, with the Democratic party in the opposition, we could stop his [Nixon’s] idiocy quicker.” If we are to have a “stupid and reactionary foreign policy, it should be carried out by a Republican administration, not by a Democratic administration” (p.358). Although Schlesinger never embraced Jimmy Carter and his presidency, he saw the Reagan years as a disaster for the United States. He therefore eagerly backed the candidacy of Bill Clinton, even though Clinton seemed to be like Carter, running against affirmative government. After the Clinton presidency, Schlesinger offered advice and support for 2000 presidential candidate Al Gore, Jr. When Gore lost that election despite winning the national popular vote by a wide margin, Schlesinger withdrew from active counseling of presidential aspirants. The collection’s most amusing correspondence involves Schlesinger’s quibble with conservative pundit William F. Buckley, Jr., over a “blurb” on a Buckley book, Rumbles Right and Left, which quoted Schlesinger in 1963 as asserting that Buckley had a “facility for rhetoric which I envy, as well as a wit which I seek clumsily and vainly to emulate” (p.262). Schlesinger vehemently denied he ever said anything like this about Buckley and threatened to sue Buckley’s publisher to retract the attribution. Their feud reveals that Buckley did indeed have a first class wit, and that Schlesinger was humor-challenged. Buckley signed one letter “Wm. F. ‘Envy His Rhetoric’ Buckley, Jr.” (p.263). When Schlesinger refused to go on Buckley’s television show Firing Line — Buckley said that he was informed that Schlesinger did not wish to “help” Buckley’s program – Buckley taunted Schlesinger by asking him, “shouldn’t you search out opportunities to expose yourself to my rhetoric and my wit? How else will you fulfill your lifelong dream of emulating them?” (p.389). To this, the dour Schlesinger could only reply, “[c]an it be that you are getting a little tetchy in your declining years?” (p.389). Readers are likely to find curious Schlesinger’s frequent correspondence with Mrs. Marietta Tree, a socialite and Democratic party activist, the granddaughter of Reverend Endicott Peabody, founder and first headmaster of the Groton School, and the wife of a British Member of Parliament, Ronald Tree, himself the grandson of famed Chicago businessman Marshall Field. Schlesinger wrote to Tree in exceptionally endearing terms over the course of nearly two decades. In one particularly impassioned flourish, Schlesinger told his “Darling M” that he could not “resist writing to you from the heart of the Middle West [Topeka, Kansas]. Why won’t you come with me on one of these trips? You gently bred eastern girls ought to get to know America. . . It is long since we have had a good, old-fashioned evening together and I need one desperately. All dearest love, A” (p.167-68, italics in original). Schlesinger’s sons point out in a footnote that their father and Tree “were never lovers, despite the words of endearment in their correspondence. Her passion was reserved for Adlai Stevenson” (p.57*). Judging by the language of his letters, however, their father was plainly smitten by the enticing Tree. Then, suddenly, the letters to Mrs. Tree stop. This comes at a time when we learn via another editorial footnote that Schlesinger and his first wife Marion, whom he married in 1940, divorced in 1970, and that he remarried Alexandra Emmet Allen in 1971. But there are no letters here containing references to a deteriorating marriage relationship or a developing interest in another woman. This may be the result of an editorial decision on the part of his sons to eschew the personal side of Schlesinger and emphasize the political. The lack of references to key moments in Schlesinger’s personal life is also a reminder that a collection of letters should not be confused with biography or autobiography. This smartly compiled collection nonetheless provides a keen sense of how the galvanizing political and public issues of Schlesinger’s adult life looked not only for Schlesinger himself but also for the robust and unapologetic liberalism that he articulated from the early post-World War II years into the first decade of the 2st century.